Today, the UK’s Department of Digital, Culture, Media and Sport (DCMS) announced the publication of its Security by Design report containing a proposed Code of Practice for Consumer IoT products. It details 13 steps to assure security including, no default passwords, implementing a vulnerability disclosure policy and ensuring software can be updated. Being part of the Expert Advisory Board for the report, the IoT Security Foundation (IoTSF) welcomes this development as it gives a strong message to industry about the importance of security for consumers and outlines the practical steps that need to be considered. To further help vendors meet the technical requirements that align with the Code of Practice, IoTSF has mapped the security controls that are necessary from its freely available IoT Security Compliance Framework. 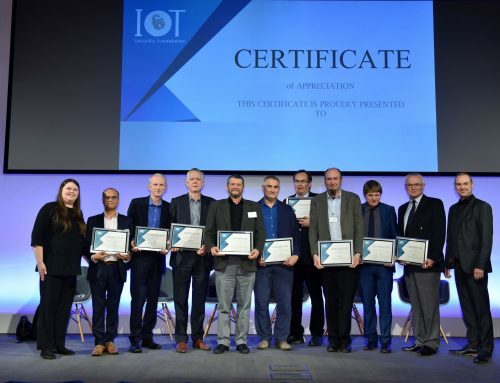 The mapping is also published today in an application note which can be freely downloaded from the IoT Security Foundation website and is aimed at device manufacturers, IoT service providers, mobile application developers and retailers. The Security by Design Report and proposed Code of Practice can be found here. The IoT Security Foundation Compliance Framework can be found.